Nashville, Tenn. (October 11, 2018) – Charlie Daniels, GRAMMY®, Dove, and CMA Award-winning musician, beloved American icon, author, and patriot, has penned a new book that shares his signature wit and powerful lessons that he's learned from traveling and playing all around the world. Let's All Make the Day Count: The Everyday Wisdom of Charlie Daniels (Thomas Nelson / available on November 6, 2018) is an entertaining and impactful book for those who have enjoyed his daily "let's all make the day count" tweets and want to hear more personal stories from his life. "I have leaned heavily on my personal journey and the times I've knocked my head against various walls through the years while learning life's lessons," Daniels said. "I've excerpted segments of my highest and lowest times, my most devastating defeats and most rewarding victories, and how I've come to truly value making the day count, every single day." Let's All Make the Day Count includes 100 readings that cover such topics as starting again after loss; standing your ground; how to be successful; how to show people you care; choosing your words carefully; and many more. Daniels accompanies every story with a Bible verse and a short takeaway. Daniels also will release a companion CD of the same name on November 2, available exclusively at Walmart stores, released by Blue Hat Records and distributed by BFD. 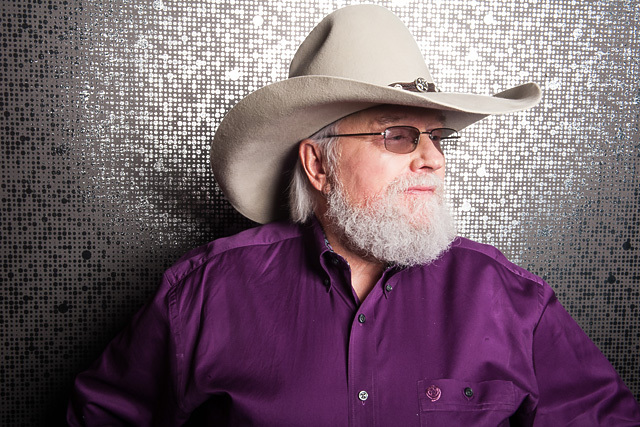 From his Dove Award-winning gospel albums to his genre-defining Southern rock anthems and CMA Award-winning country hits, few artists have left a more indelible mark on America's musical landscape than Charlie Daniels. An outspoken patriot, beloved mentor to young artists, and still a road warrior at age 81, Charlie has parlayed his passion for music into a multiplatinum career and a platform to support the military, underprivileged children, and others in need. I am looking forward to your book signing at MTSU. Your music and writing is and always has been great, you have made your days count sharing all of the great songs and music with the world. Your new CD Beau Weevil's is full of great songs that I think are some of your best songs you have ever done! I am looking forward to reading your new book. Thanks for all of the music and wisdom you have shared!